We make no bones about being huge fans of MEZE Headphones here at The Master Switch. Why wouldn’t we be? The Romanian company blew our minds with the gorgeous 99 Classics over-ear model, which is probably our favorite pair of this year. And when they sent us the Classics, there was a little bonus package tucked alongside them: the 11 Neo earbuds. This was curious. It’s actually quite rare for a company to excel in producing both full-size cans and earbuds; it’s quite a difficult double act to pull off. We were curious to see just how MEZE’s tiny buds would fare. On the outside, these buds don’t look particularly different from others we’ve tested, and they certainly aren’t as ornate as the company’s other models. Quite the opposite, in fact: the housing on each bud is a simple curved blob of metal, with the driver sticking out of it and a discreet company logo on the outside. They’re not as subtle as other buds when inserted into the ear, and they do tend to stick out a bit, but there’s no denying that they look good. You can get them in a couple of variations, including wood, gunmetal, and iridium (ours was the last of those). Note that the gunmetal and iridium are currently $59 on Amazon, but the wood is $89. Digging further into the tiny case, you get a selection of different tip sizes including – praise be – Comply memory foam tips, which in our opinion are the best available. Switching out tips is easy, and it took no more than a few minutes for us to find ones that were comfortable. Once the buds were in the ear, they stayed there. We do have to say that we did struggle over long periods with comfort, but it’s hard to mark down the 11 Neos for that, as we found that almost all buds feel that way after an hour or two. The 3’11” copper-coated cord is non-detachable and, for the most part, resisted attempts to tangle it. Weirdly, this is helped along by the design of the carry case: a thin, circular, semi-rigid zippered bag. It invites you to gently coil the headphones around your fingers when you put them away, and we found that after doing this a few times, it became completely natural, and never resulted in tangles when we pulled them out. It’s a very subtle design choice, but in the context of what headphone designer Antonio Meze does, it makes perfect sense. Down bottom is a simple 3.5mm jack, also all-metal. There is, however, one particularly annoying design choice: the in-line microphone. There are no volume controls on it, which we can forgive, but what we can’t forgive is a button that is so annoying to use. It controls all functions (play, pause, track forward and back, answer calls) and it’s far too small, digging painfully into the finger when pushed. It’s also difficult to push twice quickly, which is generally recognised as the usual method for going back a track, meaning we paused more than we skipped. It’s puzzling why MEZE couldn’t locate the controls on the metal bracket midway down the cord. Or at least build a decent button. It’s here where the buds really start to excel. One of the problems in-ear models have is bass. It’s a problem because they are small. The larger the driver (the central part of the headphone which generates the sound), the more powerful the bass will be. Earbuds, which typically have drivers ranging from 6-14mm in size, generally aren’t good at doing this. It’s one of the sacrifices you have to make: low end for portability. Booming bass for convenience. However, it’s not a problem that the 11 Neos have. That surprised us, because their drivers are only 8mm across, which is not particularly large. What MEZE did was coat them in titanium, and work hard to balance the frequencies. The result is a driver that lacks size, but packs some serious power. Put simply, we’ve yet to come across another set of earbuds in the sub-$100 range that sound this good. Once you’ve got a decent seal in the ears, which isn’t difficult, the 11 Neos reward you with absolutely phenomenal bass. It’s rich, rounded and punchy, with genuine weight to it that sounds like it should come from a much, much larger pair of cans. Whether it was a growling synth bassline or a thumping kick drum, we felt every single note. What a wonderful surprise. The rest of the frequency spectrum is solid, too. While the buds do sacrifice a little bit of detail, they substitute it with crisp highs and warm, textured mids. What this comes down to is: these sound much, much better than they have any right to. It’s a credit to the company’s design and technology ethos that they managed to squeeze every tiny watt of power out of these, and do it in such a way that it pulls your brain into thinking you’re listening to something much larger. They still don’t touch bigger cans, like the 99 Classics, but they are a worthy companion piece. It should be noted that while we don’t like the in-line controls, call clarity on the microphone was just fine. If you do most of your listening with earbuds, you would be shortchanging yourself not to. At less than $100, these are an absolute steal. They incorporate technology that we would expect to pay a lot more for, and show off a level of detail that is just wonderful to behold. Admittedly, they’re not perfect (thanks to that irritating in-line mic) but it’s a minor mark against an otherwise stellar product. Right now, the 99 Classics and the 11 Neos are the sole MEZE models available, but we can’t wait to see what the company does next. Design-wise, these are an excellent, slightly cheaper alternative to the 11 Neos. They don’t offer bass that is nearly as good, but they still sound fantastic – and they have a volume control on their in-line microphone. 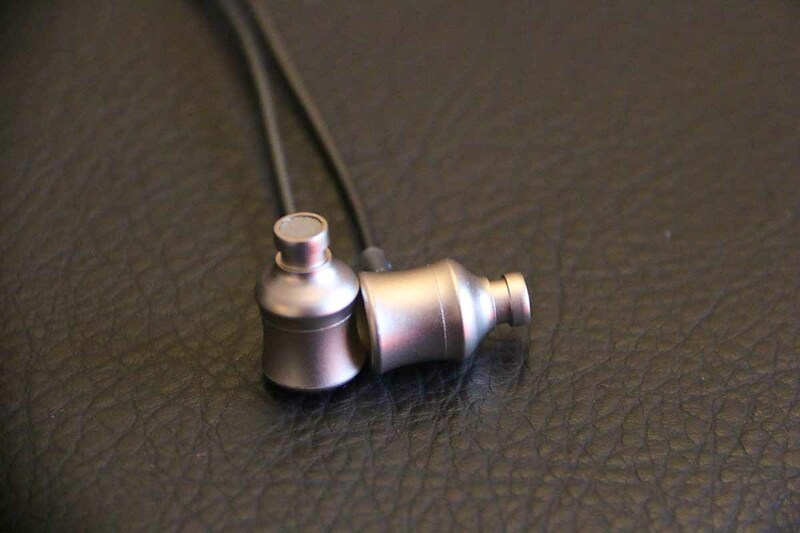 We reviewed RHA’s T20i buds earlier this year, and loved them.